Please read the 'Our Clients Say' page of this website, to see amazing customer comments & scores. 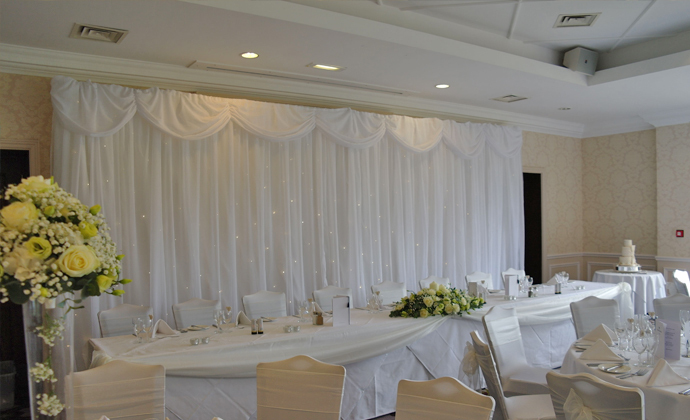 Hire our Stunning Starlight Backdrop for £175 when booked in conjunction with our chair covers. 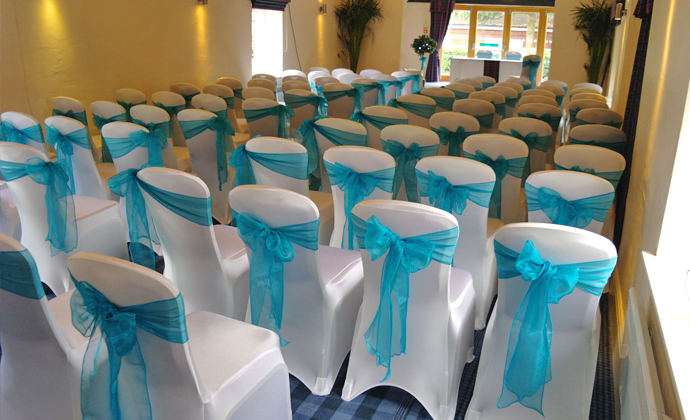 Welcome to Occasions Chair Covers. My personal commitment is to make your special day totally memorable with a stunning range of chair covers, sashes and on trend accessories. 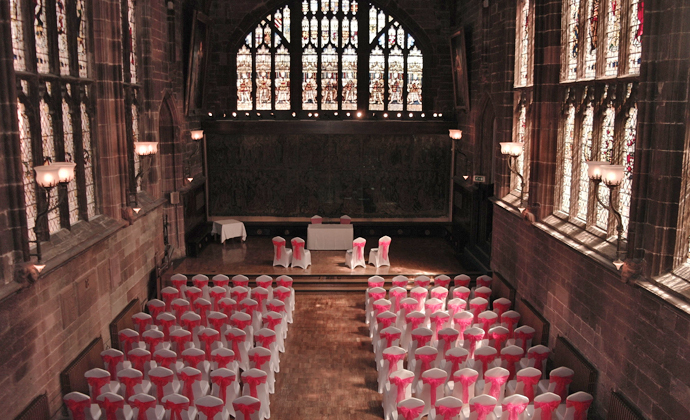 We are Coventry's premier wedding and event dressing company. 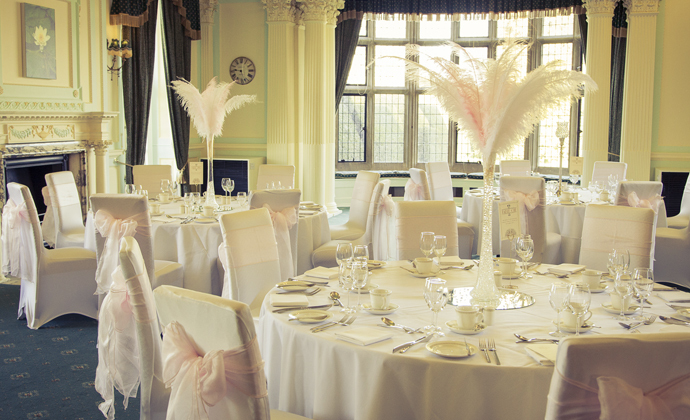 The quality of work we deliver coupled with the highest quality materials we use is, justifiably, earning Occasions the reputation for the fastest growing wedding and event dressing company in the Midlands. With our emphasis on style, Occasions transform venues using highest quality fabric, fashionable accessories and an experienced eye for detail. 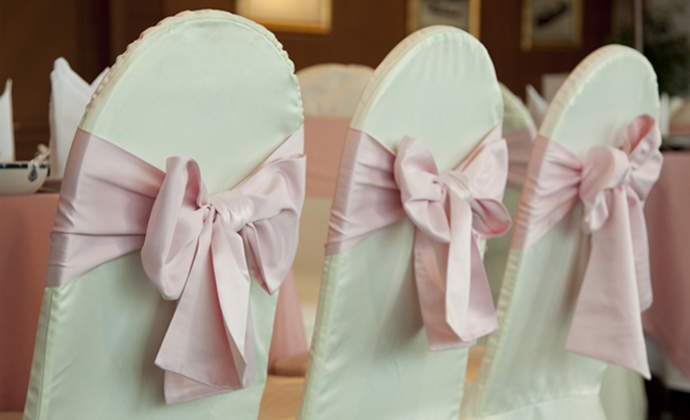 We have a massive stock of premium chair covers, crisp cotton and lycra, complimented with top quality taffeta or ruffled crystal organza sashes. 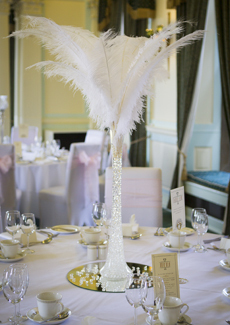 We also supply top table swagging, table runners, starlight backdrops, bay trees, replica post boxes, on-trend accessories and table centrepieces. Occasions enjoys an envied reputation for a friendly, personal service with absolute attention to detail. All our customers are delighted with the service they have received. We work to much higher standards than many of our competitors. Occasions recently entered the prestigious UK Wedding Industry Awards, at our first attempt we gained Regional Finalist status the first company within a 20 mile radius of Coventry to achieve this, see the "Our Clients Say" page of this website for the amazing comments we received from our previous brides and grooms. 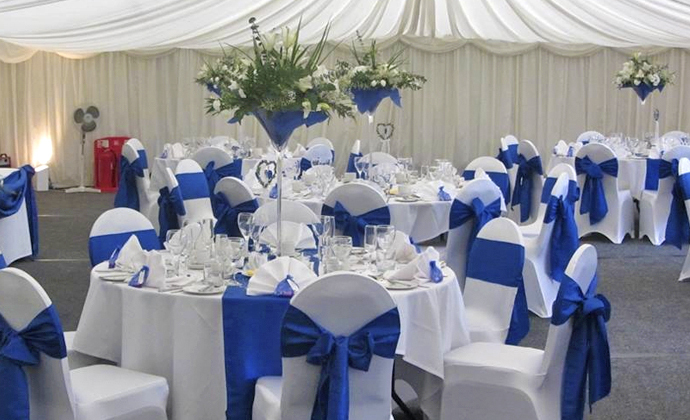 Our creative team has personally and successfully dressed events at many of the Midlands most prestigious and popular venues as well as transforming marquees, village halls and golf clubs. Occasions transform venues across a 50-mile radius of Coventry, so cover all of the West Midlands, Warwickshire and much of Leicestershire, Worcestershire and Staffordshire. It felt like a stroke of luck finding Elena, she looked after us, we felt we had a very personalized experience and she did exactly what we hoped/asked for. Everything looked better than we had imagined! She is local, friendly & efficient - what more could you ask for! See more amazing customer comments on 'Our Clients Say' page.